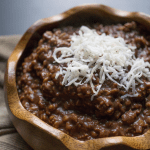 High Protein Oatmeal – 4 delicious variations! I’ve created four amazingly delicious flavours of high protein oatmeal for you! Try mocha coconut, carrot cake, vanilla pear, or pumpkin spice! Would you lecture a mechanic about how the way they’re driving their car is putting strain on their engine? I recently had a visit with a medical specialist and was asked about what I eat for breakfast. I have dozens and dozens of breakfast recipes on my website, indicating I’m not exactly the type of person that eats the same thing every morning. I decided to just humour her and answered with “I often have oats.” Which is true. She retorted with “oats is a horrible breakfast! Look at how much higher in protein some of these grains are” pointing to a list of grains (and pseudo grains) like quinoa, millet, amaranth, etc. Everything about that interaction curled my whiskers. This is a classic scenario of someone learning a grain of truth (couldn’t resist that pun!) without understanding the broader context. A) It’s not necessary to always have THE highest source of protein… the amount of protein in oats is just fine. There is literally only 0.7g less protein in a 1/4 cup than quinoa! That’s less than a gram of difference! Are you seriously chastising me over LESS THAN ONE GRAM?! There are other foods I would target first before worrying about the oats. B) Protein is so hot right now, but other nutrients are important too. C) She knows nothing about my socio economic status. The quinoa and millet she was recommending are both more expensive and harder to source. D) I was pregnant at the time and she was insinuating that I wasn’t making the best choices for my baby. I REALLY get up in arms when vulnerable pregnant women are made to feel like they aren’t good mamas. E) This is not the way to get an idea of what a person eats. No tool is perfect but Dietitians use validated tools such as 24 hr recalls, food frequency charts, and food diaries to gain an understanding of a person’s diet. Like I said before, I eat a wide variety of foods. F) She didn’t ask any further questions about how I prepare my oats… which, coincidentally, is almost always like these high protein oatmeal recipes that are WAY higher in protein than simply swapping the oats for quinoa and only getting a measly 0.7g more protein. Moral of my rant? 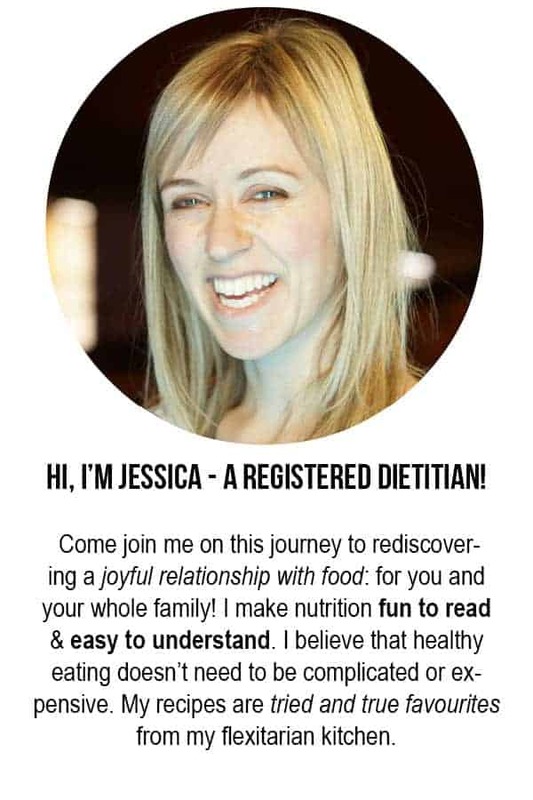 Leave the nutritional counselling to the Dietitians! We are trained to look at the WHOLE picture and person. And we know how to go about it without being judge-ey in the least, unlike this person! back to the high protein oatmeal…. Adding eggs is a big part of what makes this a high protein oatmeal. But it also ends up creating a cool, whipped texture. Not like cool whip… they’re just whipped and I think that’s cool 🙂 Or what are the kids saying these days? ON POINT. These whipped oats are on point! Yeah… I’m a 90s girl, I don’t think you’ll ever take the cool out of me. Then there’s the milk. Have you ever compared oats cooked in water to oats cooked in milk? The ones cooked in milk have a much fuller taste. It really elevates the oats! The best part? I’ve created four amazingly delicious flavours for you! Try them all and tell me which is your favourite! In a medium sized pot, heat the rolled oats, milk, and brown sugar over medium high heat. Once the oats are cooked, crack the eggs into the pot and quickly stir the eggs in. Keep stirring vigorously for one minute until the eggs are cooked. Turn the heat off and stir in the cocoa, instant coffee, ground ax seeds, and coconut. Turn the heat off and stir in the remaining ingredients. Turn the heat off and stir in the flax seeds, pears and vanilla. Turn the heat off and stir in the flax seeds, pumpkin puree, ground or chopped pecans, and spices. Top each bowl with 1.5 tbsp of pumpkin seeds. These all look so good! Gotta say, I’ve never had eggs in my oatmeal before. Looking forward to trying it.